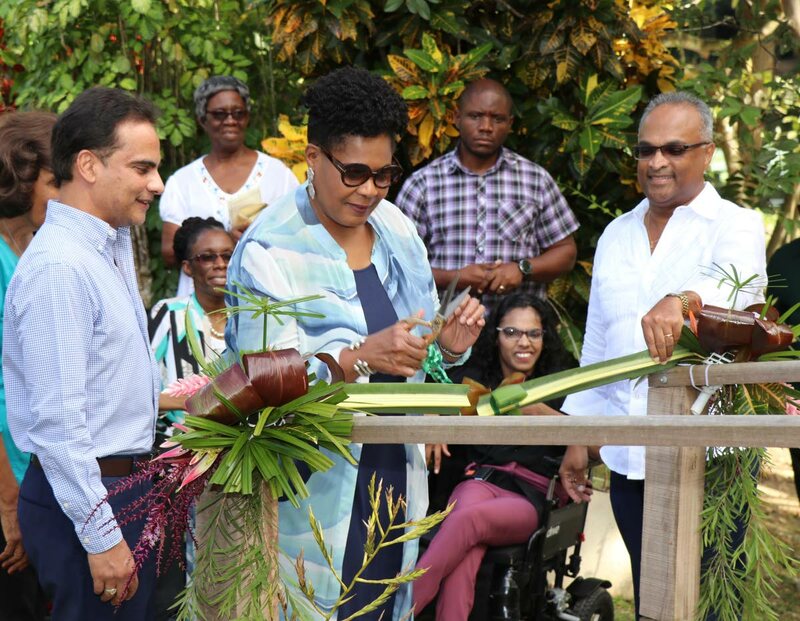 President Paula-Mae Weekes opens the boardwalk by cutting an organic gathering of fruits and plants found at the Pointe-a-Pierre Wild Fowl Trust. Looking on are Dr Sterling Frost, Robert Green and Shamla Maharaj. THE Pointe-a-Pierre Wild Fowl Trust Boardwalk has reopened with wheelchair access for people with physical disabilities. Patron of the trust President Paula-Mae Weekes lauded the efforts to make the space more inclusive for all citizens. “I am pleased to formally commission the newly-restored boardwalk for the differently-abled which will ensure that an underserved section of our society can share the rich and valuable experience afforded by this bucolic setting,” she said at the reopening on December 8. Funding for the boardwalk was provided by First Citizens and the TT Mortgage Finance Company (TTMF). 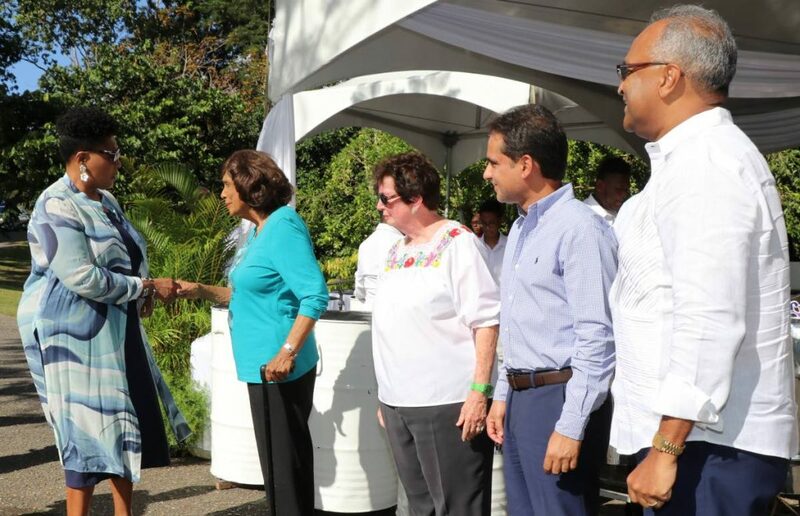 Chairman of TTMF Robert Green congratulated president of the trust Molly Gaskin and her staff for the diligent work they put into completing the restoration project. President Paula-Mae Weekes greets PaP Wildfowl Trust president Molly Gaskin, Karilyn Shephard, Dr Sterling Frost and Robert Green. 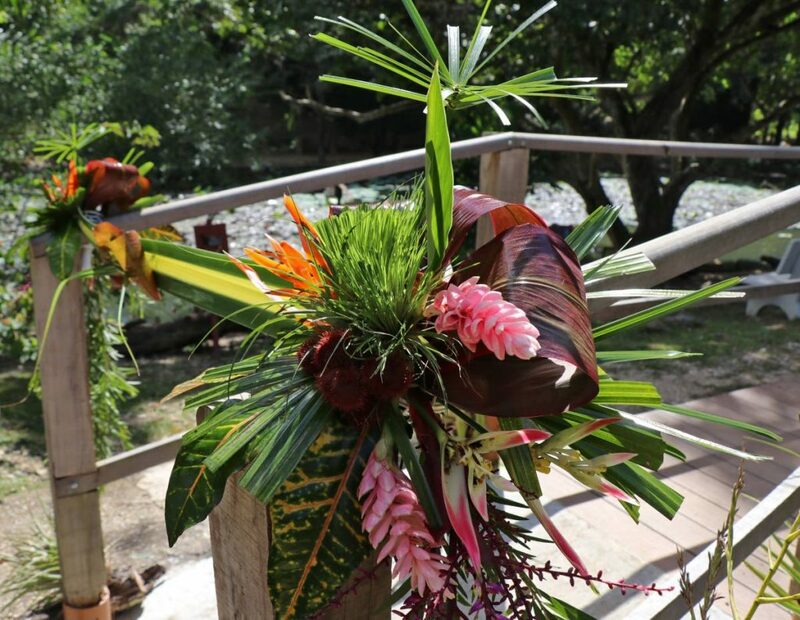 Reply to "PaP Wild Fowl Trust’s boardwalk all-inclusive"